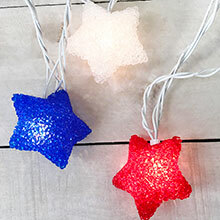 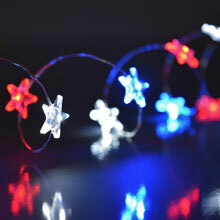 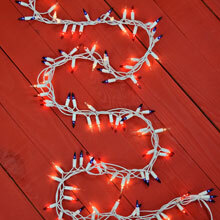 The 50 count red, white & blue string light set is a perfect addition to your patriotic summer collection- great for Memorial Day, Fourth of July and Veteran's Day. 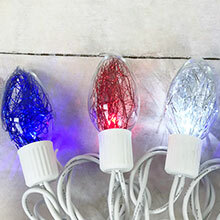 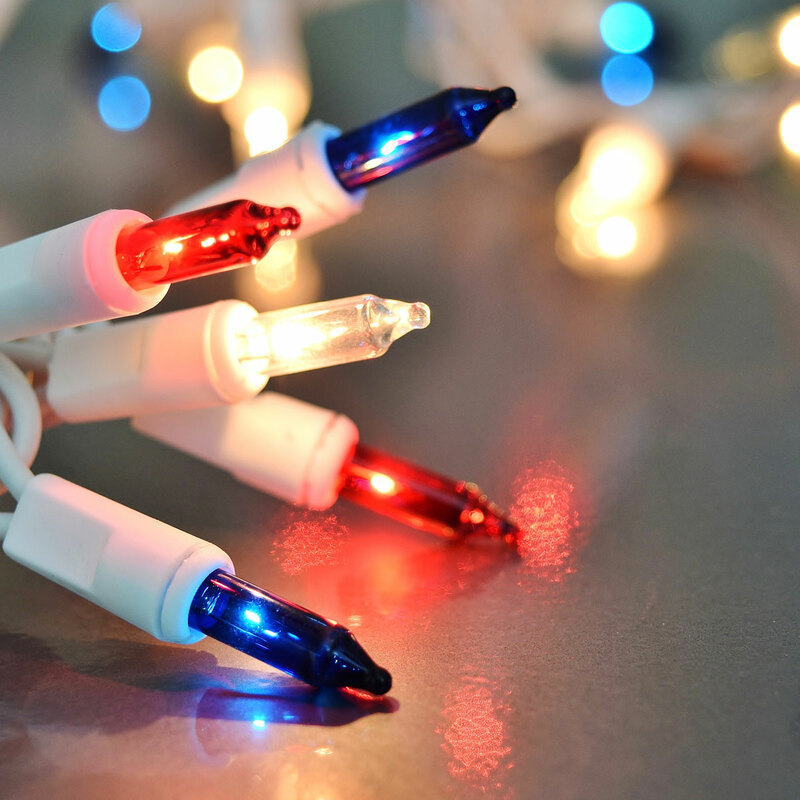 These lights can be used indoor or outdoor and can be connected string to string with its end-to-end connection. This strand contains 50 red, clear/white and blue bulbs on a 16.5 foot white strand. 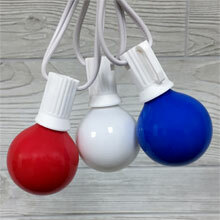 If one bulb burns out, the others stay lit.